lack history program. The event took place at Good Samaritan Baptist Church in Garner, NC. A powerful message was delivered by our guest speaker, Master Donovan Summers. 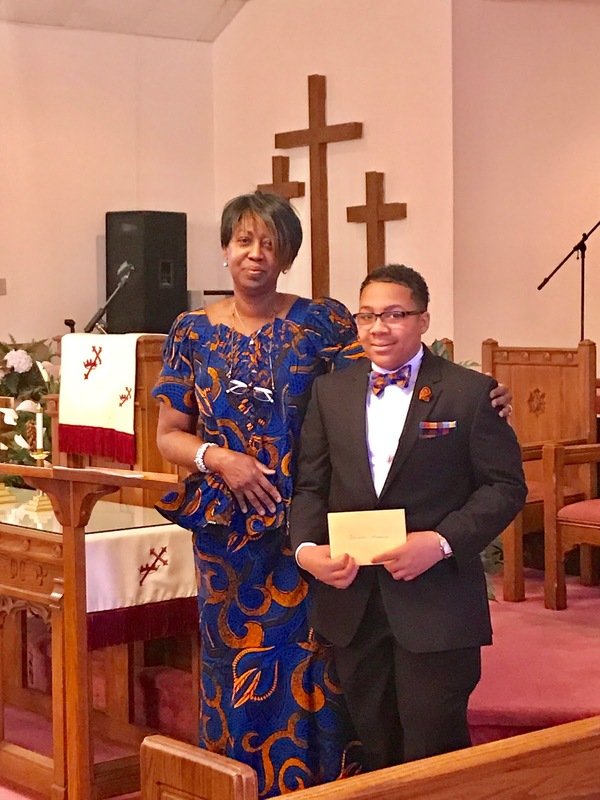 Donovan currently serves on the Young Advocates Institute Advisory Council against Sexual Assault and Domestic Violence and is the Vice-President of the NAACP Raleigh-Apex Chapter Youth Program. Pictured: Juliene Allen(Clayton Branch President) and Donovan Summers.